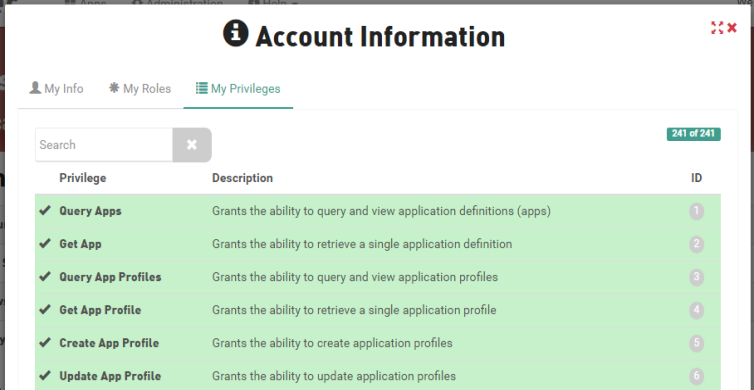 The "User Sign In" tool provides the ability to enter your user credentials and gain access to additional functionality in the application, as well as personalized/customized layout and settings. Locate the login input boxes in the upper right corner of the app. Enter your username in the User Name input box. Enter your password in the Password input box. Click Sign in to authenticate. Wait for confirmation that you were successfully signed in. Note: If you log into the app and do not log out before closing the browser session, the app will remember you and keep you logged in the next time the app is started. You must log out of the application if you do not want the application to remember your login across sessions. 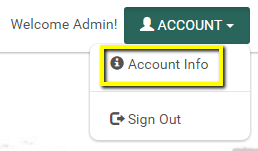 Click the Account drop-down button. Wait for confirmation that you were successfully signed out. Select the tab you want to view. Click Close to close the Account Information dialog.